When it comes to holidays, Valentine's Day ranks right up near the top for me. It's a beautiful blend of cheesy and romance – although I tend to lean towards the cheesy. I also love the warm colors in the middle of a long winter and then, of course, there's the chocolate. Whether you're married, dating, or single, Valentine's Day is a great excuse to indulge in chocolate (as if we needed an excuse). What could be better than that? 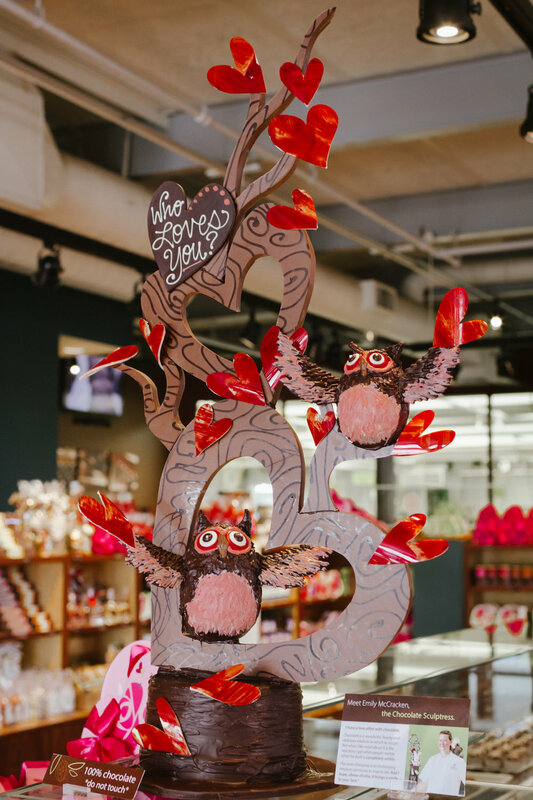 For this Valentine's Day I sculpted some chocolate owls sitting in a tree made out of hearts. I've been using a lot of birds in recent sculptures, I just find they make great subjects! 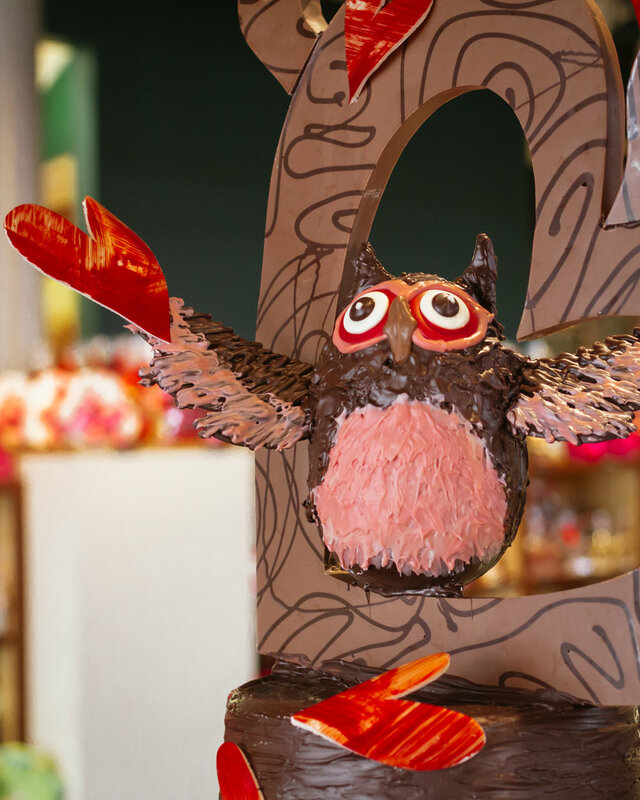 In this case these love birds also come with the whoo pun. And if you know anything about me, it's that I love a good pun.